Once upon a time the Romans decided to build a highway from Rome to Brindisi, one of their main naval bases. 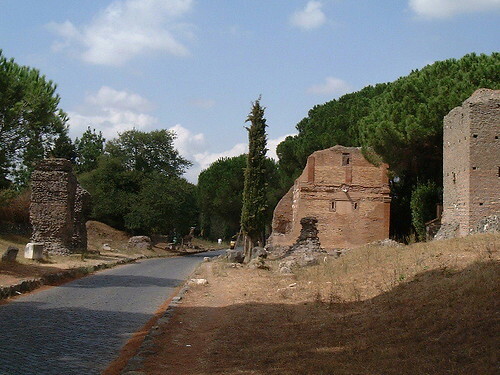 That highway - the Appia Antica - still exists today, 2000 years later. 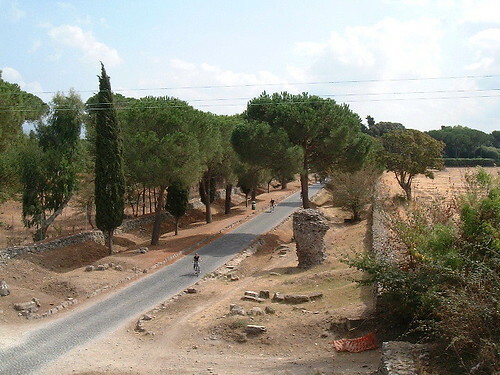 Just four kilometers from the center of Rome, this old cobblestone road, littered with ruins, dotted with Mediterranean pine trees and cypresses, runs through wheat and grass fields as if it was laying in the middle of nowhere. That is yet another thing I like about Rome: there are a lot of green strips, and the city seems very condensed. Drive for five minutes from the center and you are in the midst of fields and vineyards. Very different from home, where once you leave Brussels center, you never come to a point where you think 'Ah, now I am in the country side'.